The launch of the report from the ILC-UK and The Utley Foundation's Commission on Dementia and Music - 'What would life be without a song or dance, what are we?' summaries the findings from the work of the Commission, which brought together experts, specialists and people living with dementia to examine the topic holistically. The study found music, including music therapy, can help people living with dementia recall information and reduce symptoms such as anxiety, agitation and aggression. It argued that not enough funding was being placed in this area and more work is needed to be done to raise awareness and ensure more people can access this form of therapy. This report has built upon the work of the BAMT National Dementia Working Group, which was set up in 2015 following Music Therapy Week to highlight the role music and music therapy can play for people living with dementia. BAMT is delighted to be part of this Commission, with several music therapists being part of the Commission panel, and many others contributing through written evidence. Professor of music therapy, Helen Odell-Miller OBE, Director of the Music for Health Research Centre, Anglia Ruskin University, and Commission member said: "It has been one of the most wide ranging high profile initiatives that I have seen in our profession during my 40 years. I am truly grateful this has happened in a field which is so fundamentally important. I believe that this report is the beginnings of improving access to music therapy and music for people living with dementia in the UK." 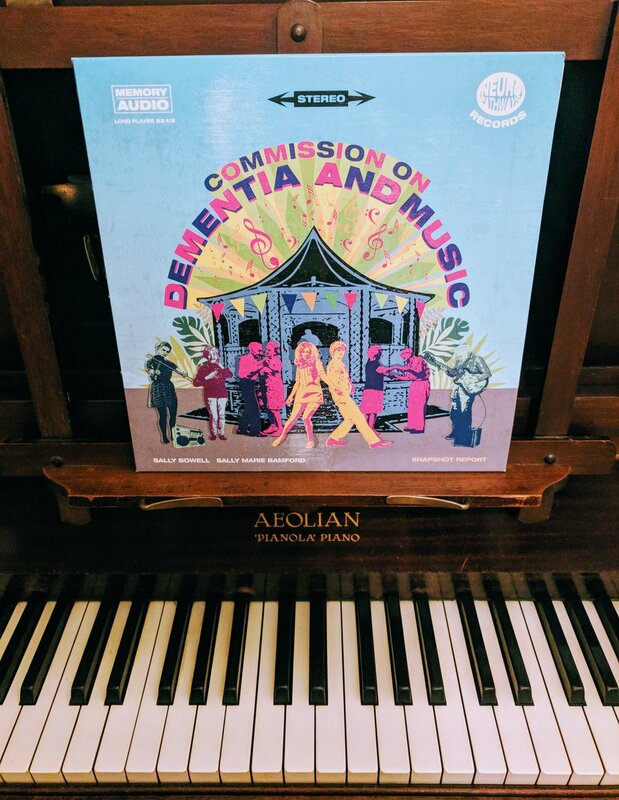 "The Commission and the launch of the report has united the music sector in helping to improve the quality of life for people living with dementia. It has raised awareness of the spectrum of music interventions available, and celebrates the power of music to transcend the impact of dementia, and bring people living with dementia back to life. This is a wonderful opportunity for music therapists to join in partnership with the music sector, and to further demonstrate and champion the role of music therapy in dementia care. We have a workforce of music therapists across the UK who already provide music therapy for people living we dementia, but we know many more could benefit from access to music therapy. This report helps to strengthen that aim. We are excited about working with the music sector to help increase awareness and access to music therapy services, and most importantly improve quality of life for those people living with dementia." The Commission has called for music therapy to be promoted by the NHS through personal health budgets and integrated personal budgets. The report said: "The benefits of music for people with dementia are clear and yet why is it that so many people living with dementia are not accessing appropriate music-based interventions?" There are about 850,000 people living with dementia in the UK. That number is expected to rise to 1 million by 2025 and 2 million by 2051. The annual cost of dementia in the UK is £26.3bn, and that cost is expected to exceed £50bn a year within the next three decades. The report calls on the music industry, the public sector, clinicians, charities, the technology sector and others to recognise and champion the right of people living with dementia to have access to music, including music therapy. It states "At the heart of this debate is the right for people with dementia to have not just a life, but a good life and to be comforted and enlivened by the power of music." This is a powerful call to action for all. You view all of the written evidence submitted to the Commission on Dementia and Music, and the list of contributors here.